We did pretty much everything I mentioned in this post. Well, except we checked out Valley of Fire State Park instead of Red Rock National Park. Thank you, government shutdown. Valley of Fire was absolutely amazing, so I'm really happy we decided to check it out. More to come on that in another post. Their flight was delayed in leaving MSP, but I was still super excited all day. 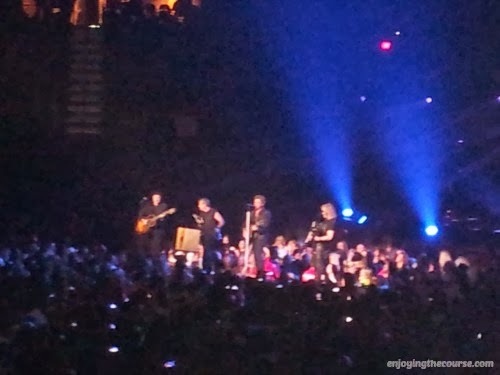 You see, we were starting their visit off with a Bon Jovi concert. Only a few more hours until my parents get here. Then straight to Bon Jovi! I could hardly wait! I felt like a giddy teenager all afternoon. The concert was loud. It was crazy. We missed the first half of the show because of their delayed flight, but the ending is always better anyway, right? They were playing some of their newer ballads when we got there. They were good. But I loved hearing the older songs better. To be honest, we're not real big concert goers, but we really enjoyed this show. The lights were amazing. The crowds were fun (when they weren't being annoying, of course). Considering Jon (cuz I'm on a first name basis like that) is in his 50s, I thought he could still move like no other. I'm not going to lie. He was really fun to watch. The first finish of the night was Bad Medicine. I would have been totally satisfied with this ending. It was such a fun song performed with so much energy. Of course, it was only 10:30, so I knew there'd be an encore. After a couple minutes break, he was back on for 3 more songs. And closed out the show with Living on a Prayer. 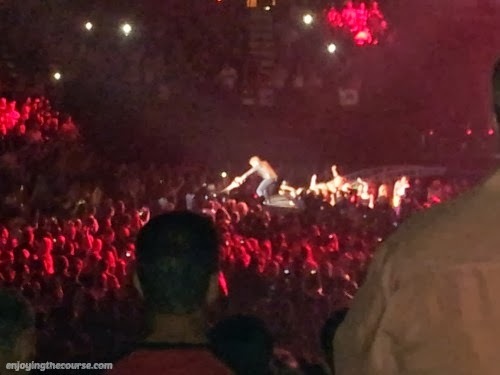 His performance + the crowd participation = Incredible! Have I mentioned what an amazing experience this was? I seriously had the greatest time!! After the show, we stopped at Firefly for some late night tapas. It was delicious and a perfect start to our Vegas dining experiences. :) Unfortunately, I failed as a blogger at this first dinner and didn't take a single snapshot. Boooo. The small tapas plates are perfect for ordering a variety of things to share, and the ambiance is really great. Oh, and we had a celebrity spotting! Carrot Top was just a couple tables away with a huge group of people. LOL. All in all, Bon Jovi and Firefly were the perfect start to a great week! Sunday was a pretty lazy day. Partly to recover from the late night. Also, we'd planned on going to see Hoover Dam, but there aren't any tours on Sundays, so we decided to take it easy, hit up Walmart, soak in the hot tub, and visit Hoover Dam on Monday. I'll blog about that and our other adventures in future posts, so stay tuned. Are you a concert-goer? What's been your favorite band/singer to see in concert? FUN! I bet it was a great show. I'd love to see Bon Jovi. I'm not a huge concert goer but I've seen some big names spanning several genres of music. I've never been disappointed at a DMB concert. Garth Brooks puts on an amazing, high energy show. I saw Etta James before she died - also a great show. Elton John was fantastic. Wow! You've seen a lot of great shows! I think Bon Jovi was probably the biggest name I've ever seen. Well, except maybe Simon & Garfunkel. That was a pretty awesome show, too. 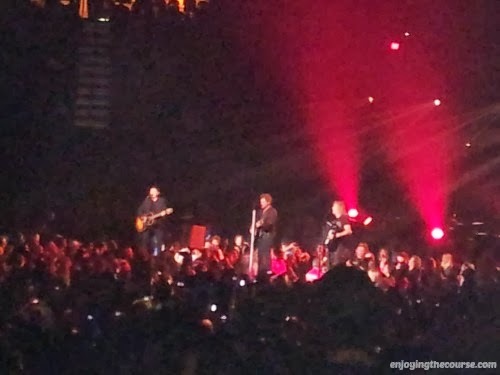 I saw Bon Jovi a few years ago and totally agree that the old songs were the best. I was surprised at just how easily the old lyrics came back to me! I can't even remember the last concert I saw. Isn't that sad!